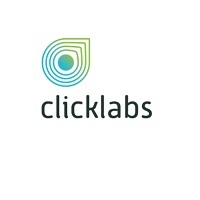 Click Labs is a young, enthusiastic team of mobile strategists, designers and developers, dedicated to help companies of all sizes leverage the exciting and dynamic world of application development and solution consultation. Our areas of expertise include Mobile Gaming, Startups, Enterprise Mobility, and Solutions. We co-create customized solutions (mobile apps) for our clients to reach out to their audience in the most efficient way. Simply put, we create awesome digital solutions!